Posted on 04/09/2013 by U.N. These days the last remains (coking coal tower, dry quenching facilities) of the coking plant Kaiserstuhl in Dortmund, Germany are knocked down. The plant was built in 1992 to be the most modern coke making facility in Europe. It supplied coke to the nearby Hoesch blast furnaces. The plant inluded two coke oven batteries of 60 furnaces each, and both a dry and a wet quenching facility. When ThyssenKrupp announced the closure of it’s (former Hoesch) blast furnaces Kaiserstuhl was shut down after being in operation for just eigth years . Ten years ago most of the mill was dismantled and rebuilt in the Shandong province, China. This relocation was documented in the exiting movie Losers And Winners. Further images of this plant at Stahlseite. 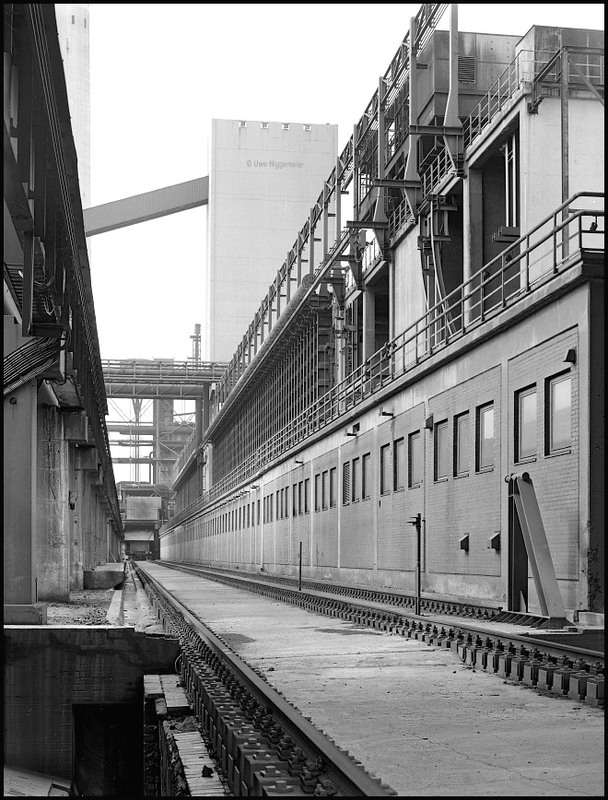 This entry was posted in Gallery, News, Works and tagged Coke Plant, Coking Plant, Dortmund, Germany, Hoesch, Kaiserstuhl by U.N.. Bookmark the permalink.